Do you have a completed professionally edited manuscript? Publish with DartFrog Plus! Books published by DartFrog Plus are guaranteed placement in all bookstores that carry DartFrog titles! Manuscripts are selected for publication, just like in traditional publishing. The costs of production are invested upfront, by the author, just like in self-publishing. Interior formatting & layout, cover design & layout, a full proofread and any required editing are all part of the publishing services provided by DartFrog Plus. 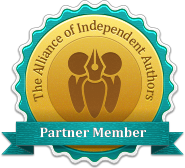 DartFrog Plus authors earn 75% royalty from books sold through the DartFrog website. We take zero commission from bookstore sales. In addition to guaranteed bookstore placement, authors are also invited for an appearance/signing at BookCon in New York City, and can take advantage of DartFrog's full marketing services. Authors can add a professionally narrated audio book to their publishing package.